Fall is most certainly my favourite season of the year. The colours, the cozy sweaters, hot chocolate and soul warming recipes are all part of why I get a little giddy around this time of year. I spend quite a bit of time during the summer trying to preserve as much of the amazing produce and flavours that define the season for me and that certainly doesn’t stop once the leaves start to change their colours. I still had a bushel of apples from Meleg’s Lakeview Orchard and decided to put them to good use in an easy slow cooker apple butter. 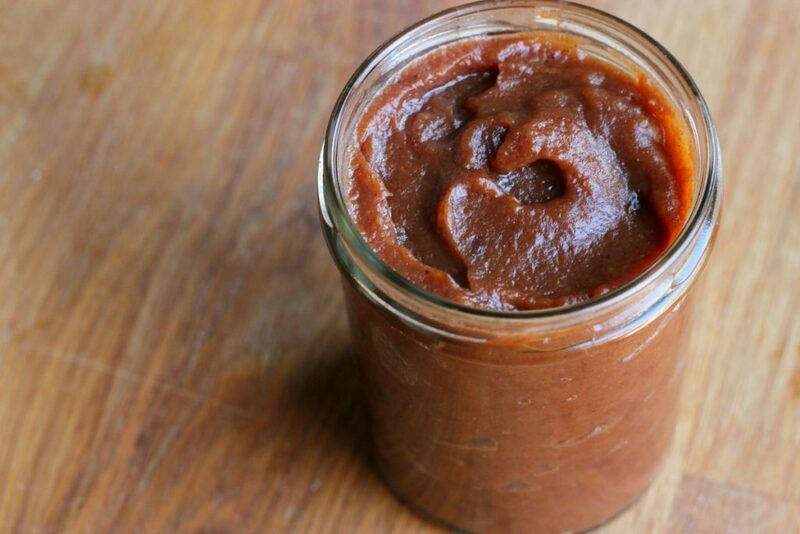 Apple butter is great for so many things. Spread it on toast, add it to your baking or even pair it with pork. The flavours are rich and warm and add depth to a variety of dishes. The recipe makes enough for roughly one 500ml jar. You can certainly adjust the spices to suit your taste. 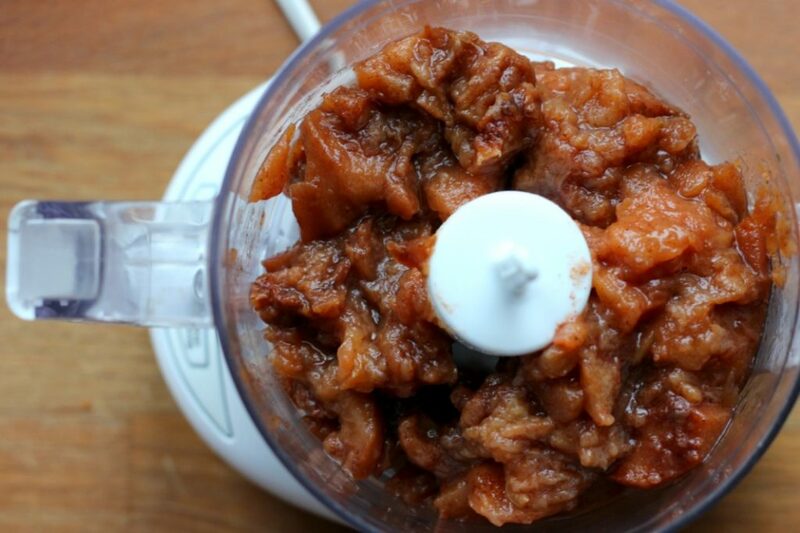 I love cinnamon and ginger so in this recipe those flavours are predominant. If you’re trying to reduce your sugar intake, try adding honey instead. Peel and core the apples. Cut them into small pieces and place into slow cooker. 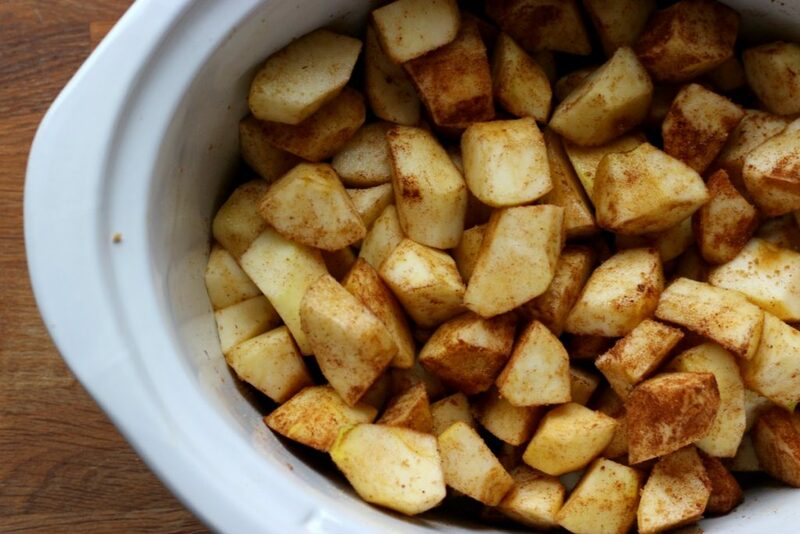 Add the spices and the brown sugar and toss everything together to coat the apples. Set the slow cooker on high for 4 hours. 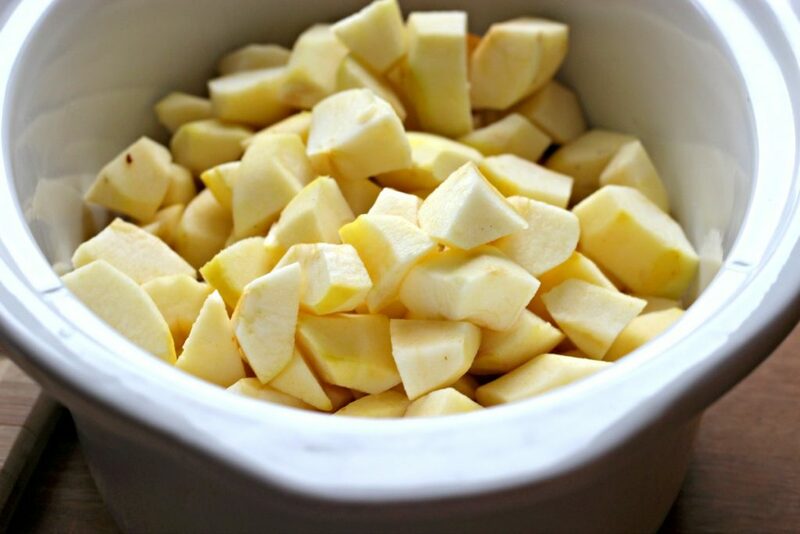 Place the cooked apples into a blender or food processor. I like to do small batches to make sure everything is pureed to a smooth consistency. Place the puree back into the slow cooker and set on high for another 4 hours with the lid off, stirring occasionally. The the excess liquid will evaporate and the puree will thicken. Let the butter cool then transfer to a jar. Keeps for 3 weeks in the refrigerator.